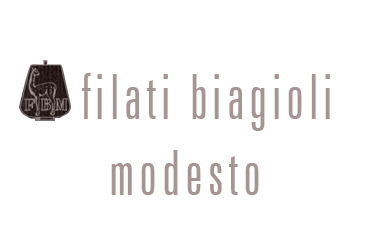 Filati Biagioli Modesto is an Italian yarn manufacturer with a rich history and high quality standards, which from year to year holds the leading positions in the elite yarn market. The company produces (carded) natural yarn of high quality since the beginning of the last century. We suggest you to plunge into the world of high fashion with Yarna and Filati Biagioli Modesto, for creating complex knitted and weaving creations. Filati Biagioli Modesto yarn is created only from superfine fibress, such as: cashmere, silk, camel wool, angora, alpaca wool, flax, fine merino wool - all carefully selected and fully produced in Italy. The entire production cycle is carried out in full compliance with European standards. Vast experience in all stages of processing, accumulated through almost a hundred years of history, was preserved in the archives and passed from generation to generation. These archives contain thousands of yarn dyeing recipes. The company considers innovations in the processing and cleaning of high-quality 100% cashmere fibres, which is one of the main priorities of Filati Biagioli Modesto. "Made in Italy" is an inexhaustible source of creativity for Filati Biagioli Modesto, as well as constant monitoring of all stages of production, always lead the manufacturer to achieve the main goal - a quality product made from carefully selected fibres.